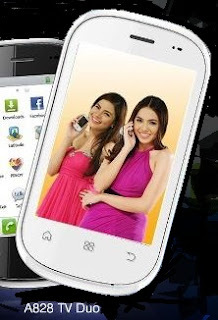 Cherry Mobile is a brand that is popular here in the Philippines. 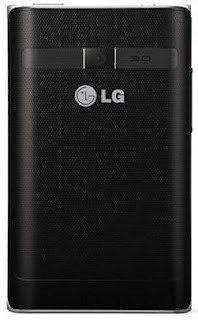 It's because of their affordability and simple style together with it's Dual SIM capability, can put up a good fight with giant mobile phone manufacturer like Samsung, Nokia, LG HTC, and Sony Ericson. 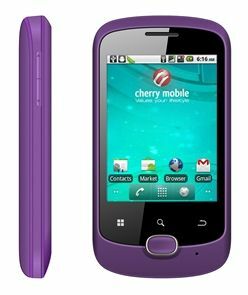 Cherry Mobile's Candy is an Android phone V2.2 Froyo, sadly it can support Gingerbread, but it is still a decent android. 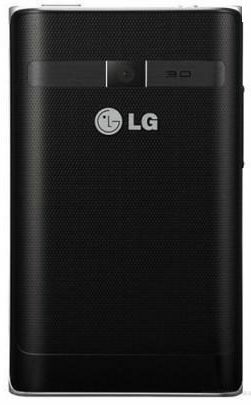 It has a screen size of 3.2 inch diagonally with a full touchscreen capability, resistive that is. 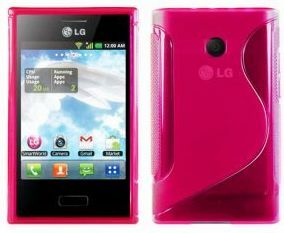 Although small if you would compare them to the new smartphone's that has been released, but it's so affordable. Nokia Asha 305 is a Dual SIm phone with a 3.0" resistive full-touchscreen. The Nokia asha 305 has a S40 series OS and the first From Nokia with Dual SIM capability. These smartphones from Nokia is already availble since the first week of July. The Nokia Asha 305 comes with 40 free games from EA sports and can download more. You can also download unlimited music through Nokia Music. The Asha 305 has a 2 MP camera and a microUSB v 2.0, too bad this Asha doesn't come with a WiFi option. This Nokia Asha 305 has 4 available colors Silver White, Mid Blue, Dark Grey, and Black. 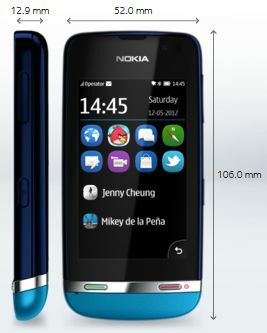 The Nokia Asha 311 offers a 3.0" capacitive sceen and 320 x 240 pixel over a corning gorilla glass. It features an oreintation sensor and proximity sensor so you can swipe, pinch and pull. Rose Red, Blue, Brown and Sand White. Nokia Asha 311 price will range from Php 5,000.00 and up. Check out the new Nokia's Asha 311's Full Specification here. Myphone TW28 is another Cheap and affordable touchscreen phone with WiFi, presented by Myphone it has a 2.0 Mp camera and can support a memory of up to 8Gb. 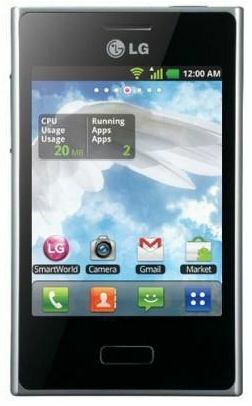 This TW28 from Myphone offers a resistive touchscreen and Bluetooth. TW28 from Myhpone has a price of Php 2,999.00 and is available in one color black. Myphone T23 Duo is a full touchscreen phone with Dual SIM capability and a WiFi. This Myphone T23 Duo look like a Samsung Corby and offers plenty of apps including Java, Google search, MSN, Yahoo Messenger, Gtalk, Opera Mini, Facebook, Twitter, Games, World Clock, Health, Stopwatch, E-book reader. The ringing melody of this Myphone can be changed to MP3, True Tones, MIDI, or WAV. 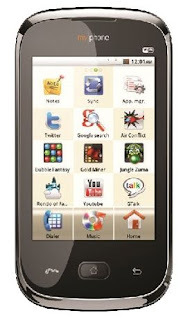 This Myphone has a very afforbale price, T23 WiFi Duo is available in colors black and white. 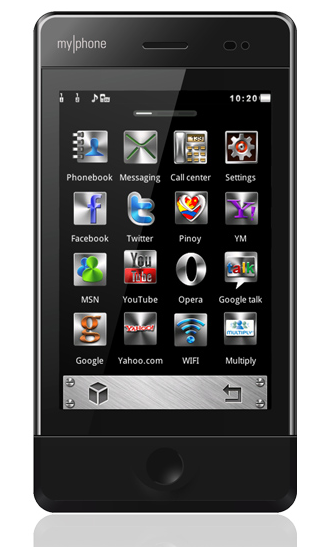 T18 Duo is a touchscreen phone from Myphone that offers a dual-standby SIM with web applications like Facebook and Twitter. It’s rinnging melody can either be changed to a MP3, MIDI, or WAV format. 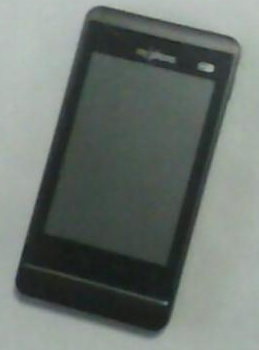 This Myphone T18 Duo has a 2.4” TFT QVGA screen with 240 x 320 resolution. Though it’s a touch screen phone it doesn’t have a WiFi and uses only WAP to browse the net, but it’s still a good phone with a stylish physique. The Myphone T18 Duo has a very affordable price of PhP 1,999.00 with an additional PhP 500.00 You can get a 4GB micro SD card with pinoy content v2 and available in colors coffee red, pink, wine red, champagne, orange, and violet.